Israel - 1 person likes this. It is on this spectacular city that you will experience some of the best underwater scenery aboard an Israeli Yam Boat. The boat is 22 meters long and features 3 decks. 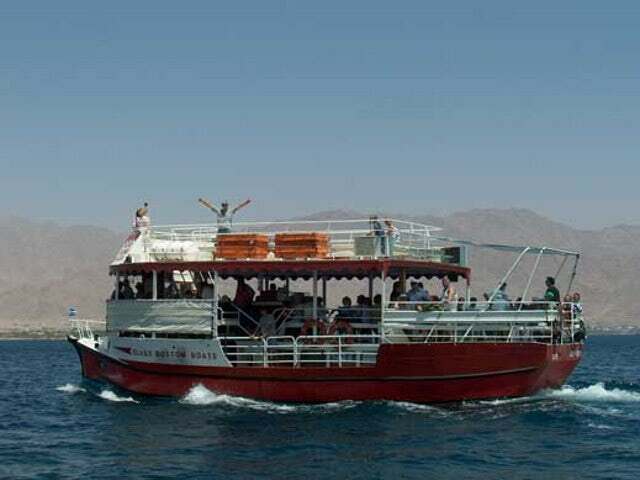 The upper deck is suitable for soaking in the rich Middle East sun as well as viewing the surrounding beautiful beach town of Eilat. The middle deck is shaded and features a bar where you can get drinks, sandwiches and snacks. The lower deck is the gem. It features an air-conditioned glass room that gives passengers the beautiful scenes that are usually visible to underwater explorers. Located on the northern tip of the Red Sea is the Israeli resort city of Eilat. It is part of the larger Gulf of Aqaba and is located on Israel's Negav Desert. As if to enhance its reputation as a resort city, it is within sight from Saudi Arabia and is adjacent to both Jordanian port city of Aqaba to the east and Egyptian village of Taba to the south. Among the beautiful things you can expect to see from the glass deck includes the beautiful coral reefs and under water vegetation as well as the Japanese gardens at the Israel-Jordanian border. As the tour progresses to the Israeli-Egyptian border of Taba, passengers are treated to the most spectacular sight - dolphins at play. Other attractions in Eilat that you can visit include; Timna National Park, Red Canyon, Coral Beach Nature Reserve, Ice Space Amusement Park, Aqua Beach, What's Up Observatory, Princess Beach and many more. Note that the underwater cruise takes about 2 hours. The boats depart from the bridge between Caesar Hotel and Sheraton Hotel at 10:30, 13:00, and 15:30. The company offers special rates to groups, students, soldiers and retirees.